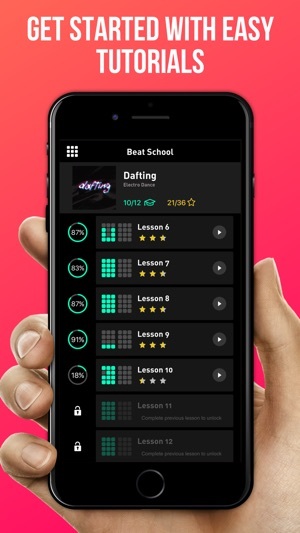 The easiest way to master the art of beat-making in no time! 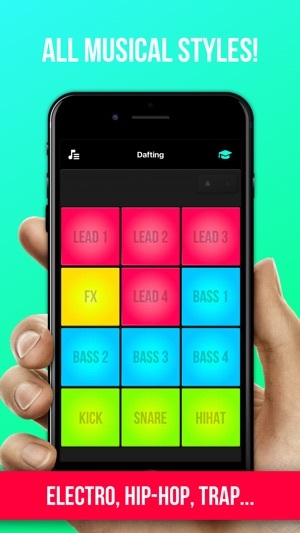 Meet Beat Maker Pro, your new favorite app to make music and create beats directly on your iPhone or iPad. Super easy. Super fun. 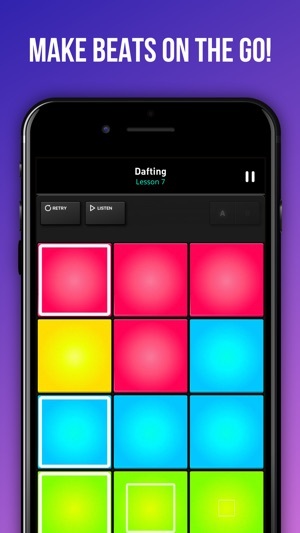 Play with thousands of sounds and get tutorials for quicker learning! 1) when playing, there’s the “add” (If you will) to buy the premium, and I accidentally click it every time I play, making my score less than it could be, maybe remove that? I mean there’s still the button on the top corner to buy it. 2) I watched a video for the next free song and it doesn’t show me how to play it...maybe add more tutorials for each song?? Hello! Thank you for your suggestion: we really appreciate your involvement in our app’s improvement! We have submitted your idea to our engineering team! Regards, Alice. I like the app as a whole. The available pads are simple, easy to get the hang of, and sound great. The problem is, there’s very few free pads. 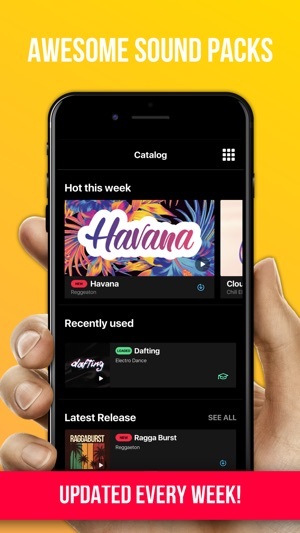 I understand that funding is needed to elevate the app to the next level, but there’s a point where too many premium features become suffocating. This app has gone beyond that breaking point. Almost everything requires a premium account (that is not cheap, mind you) and the few that don’t require such a status are often interrupted by ads. Generally, the app is just disappointing and frustrating because it’s quality pads and high expectations. I just came to find out this app has been taking $8 out of my bank account every single week for the past 4 months without me even knowing. I can’t even open the app to figure out what happened, just has the loading screen repeat over and over. Tried updating the app to make it work again, and still just caught myself sitting there for minutes waiting to see if the app would load itself or not. I’d like to be given access to cancel this “subscription” (aka let me get past the loading screen), and I’d also like to have my money back because I never agreed to pay $8/week for this app I didn’t even know was on my phone.